Fifth-grader Aliya already struggles with trying to fit in, feeling confident enough to talk to the cute boy in class, or being brave enough to stand up to mean kids—the fact that she’s Muslim is just another part of her life. Should she fast for Ramadan? Should she wear the hijab? She’s old enough for both, but does she really want to call attention to herself? 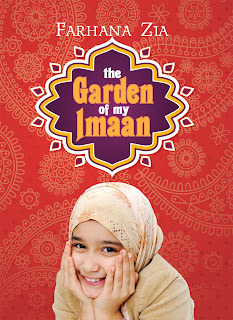 Aliya begins writing letters to Allah, exploring her dreams and fears, and hoping that with hard work and faith, something beautiful will grow in the garden of her imaan — the small quiet place inside where belief unfolds, one petal at a time. I'm so excited to roll out the blog tour for this awesome new book! Follow along with us this week! Plus a Q & A with author Farhana Zia!